As we all know MWC is going to held starting from February 24th. Many big and small countries are ready to introduce new innovations in the event. When Nokia, Samsung, Huawei, and other companies have revealed their teasers and showed some of their plans. Now OnePlus also sends invites for MWC event. The invite is doing little to reveal exactly what the meeting will be about, simply stating “Reimagine the future with OnePlus”. The invite also states that “Join OnePlus at Ultramarinos where drinks and a taste of the future will be on us. We’ll be celebrating MWC 2019 at this exclusive, invite-only event,”. And while that could mean a lot of things, it certainly sounds exciting. OnePlus has not revealed any other information regarding the device yet. 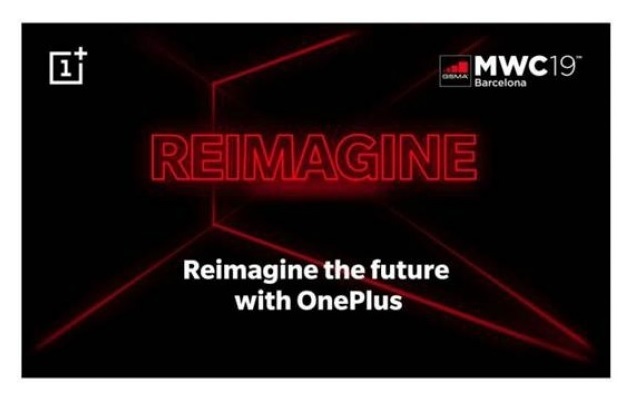 But we hope that the company will unveil OnePlus 7 in MWC event. According to the rumors, OnePlus 7 will have a Snapdragon 855 the first 5G chipset by Qualcomm, at least 6GB of RAM and 128 GB of Storage. On the other hand, the Nokia MWC Event Teasers Reveal a Mysterious Punch Hole Selfie Phone. The teaser reveals that the company will showcase the device on February 25th, a very next day after the launch of Nokia 9. Let’s see which company will bring more innovative products. Till then stay tuned for more updates.